Personal Loans > Resources > Learn About Personal Loans > Basics > What is an Installment Loan? A fixed installment loan is a loan that is paid back over a specific period of time with a set number of scheduled payments. They can be either secured loans (e.g. auto loans, mortgages) or unsecured loans (e.g. personal loans, student loans). Installment loans differ from a line of credit, for instance, which offers a maximum credit amount you can borrow from, or a payday loan, which tend to be small amounts at high interest rates. The amount of time or “term” of the loan will depend on exactly what is being financed. A personal loan at Discover, for example, ranges from 36 to 84 months. During that time the entire principal and interest of the personal loan is paid back in equal increments on a monthly basis. Other types of loans may be shorter or longer. The key difference between an installment loan and other loans is that there is the time period you have to pay back the funds that you have borrowed. With a credit card for example, you may have a credit line of $5,000. Once you spend up to that maximum, you are only required to make the minimum payment each month. Most often, that will be a mix of interest and principal. You could continue making that minimum payment and spending any additional credit that is available without an ending date. What is not an installment loan? Why Use an Installment Loan? Installment loans may be used by those that prefer predictability. Knowing what your monthly payment will be each month will allow you to plan and budget accordingly. If you have good credit and a strong financial history, an installment “personal” loan may be a good fit to help you reach your goals. 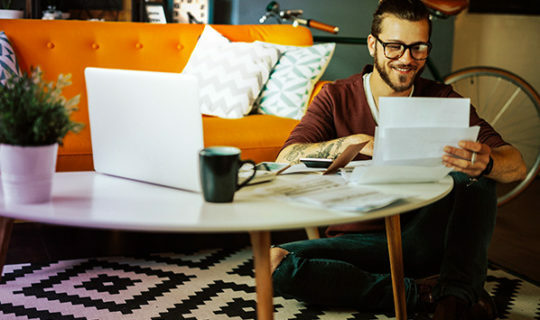 You can receive a competitive fixed rate with flexible repayment options and take advantage of a potentially lower monthly rate than other forms of credit or variable interest rate debt. What are Installment Loan Rates? As with most loans, your interest rate will highly depend on your credit score, financial situation, and if the loan is secured or not. To check your rate and monthly payment on a personal loan with Discover, with no impact to your credit, you can start the process here.